A quick definition of the terms homophone and homonym, with a partial list of homophones. Read with the students and see how many they can identify. This page can be used with my other homophone ws. The above downloadable worksheet is best suited for elementary school students and kindergartners and nursery school students at Elementary (A1) and Pre-intermediate (A2) level. 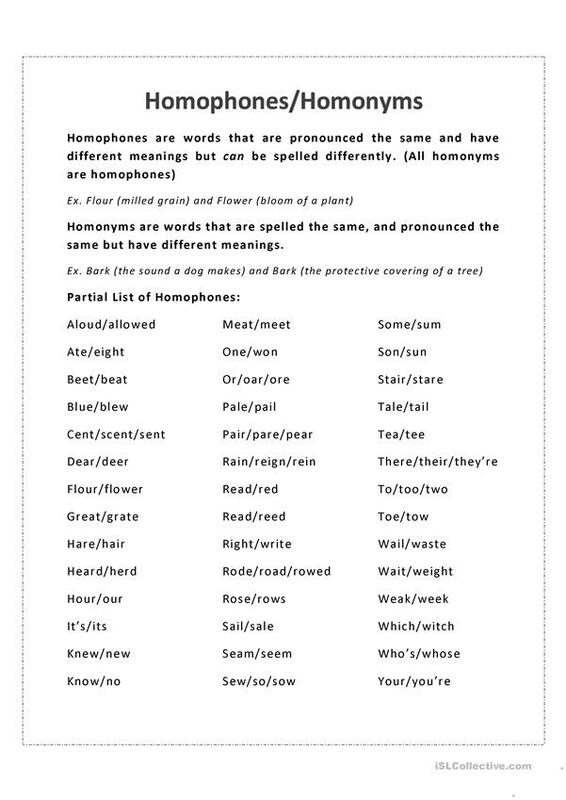 It is a useful material for revising Homonyms (two words with the same pronunciation - homophones and homographs) in English. It is about the vocabulary topic of Homonyms and Words easily confused.